Ice and snow undoubtedly makes travel in the wintertime a terrifying experience. So it’s important to be ready with the knowledge to get you safely through the snow season. 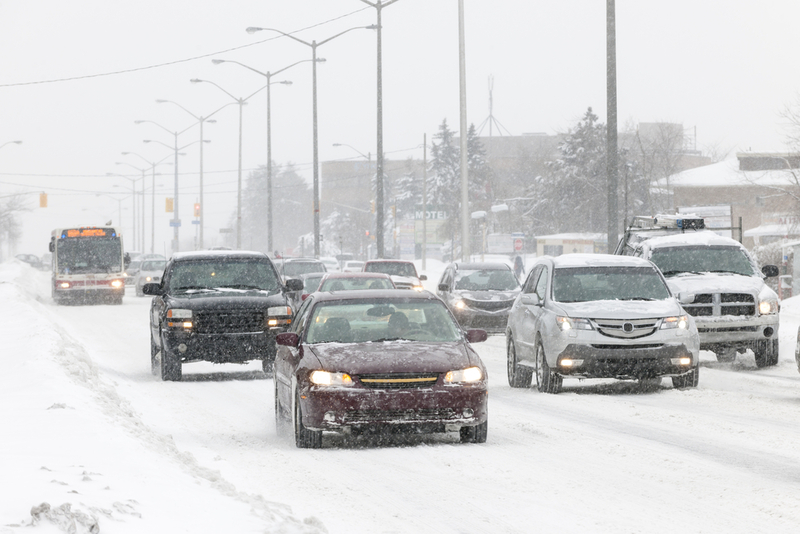 We decided to gather advice from all over the net to give you a primer on safe winter driving. You need to be able to read the terrain. This is integral to avoiding a skid or an actual accident. It is vital that you examine the road surface and use a route that avoids potentially hazardous areas. All the more important is being ready to slow down when you see these clues, even if the rest of the road looks dry. Sometimes the smartest route isn’t the one your fellow drivers are taking. A car is prepared to do these 3 main things: accelerating, it cornering and braking. And in order to maximize the performance of each function, you generally need to be able to do them one at a time. Brake in a straight line. And in a turn, stay off both pedals and wait until you begin to straighten the wheel before you feed in any throttle again. That’s because combining too many of these functions on a slippery surface will use up all the available traction. In winter conditions drivers should never try to change the car’s direction in a hurry. The long list of helpful products and supplies you could bring along with you when travelling in remote, snowy climes would include items like an emergency kit, tow strap, and even an air compressor. But the most crucial item, the one that topped the list of all advisers, included some form of extra warm clothing. And that’s because your survival could depend upon simply staying warm if stranded in freezing weather. Feel free to carry long underwear. It’s a solution that maximizes protection against the cold and minimizes the space required to bring it. 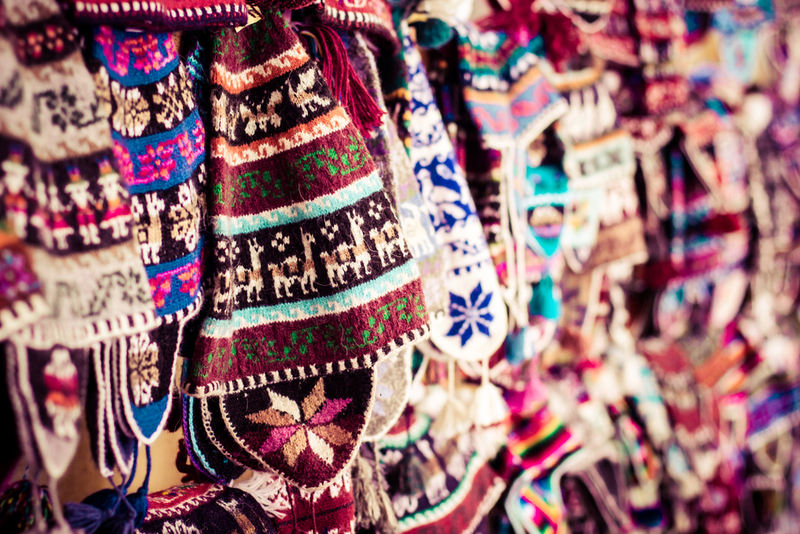 Also pack winter beanies and balaclavas. The best ones are able to bunch up around your neck and will go right down your coat. Sometimes they have a drawstring that shrinks the size of the opening around your face. Be sure to always carry a winter coat in the back seat of your car during the winter, as well as gloves, boots and a blanket in the trunk. We know that a vehicle’s electronic stability control system (ESC) uses a steering angle sensor, a yaw sensor and a lateral G sensor in addition to the ABS wheel speed sensors. The system takes the information from these sensors and decides how and when it should intervene. Stability control is a path maintenance system that tries to maintain the path it thinks the driver wants to take. So be more mindful with the vehicle controls. If the vehicle starts to slide, he cautions, don’t immediately counter steer in the opposite direction at full steering lock. Extreme and abrupt maneuvers like that will make the system think you want to turn the vehicle in the opposite direction. The result? It will take ESC longer to make the right corrections. He says the best course of action is to tone down your steering wheel inputs and straighten the wheel. The intervention from the system will be much more subtle. And the same goes for traction control. Be smooth with the throttle application. If you fight the system, if you plant your right foot on the floor, it’s going to shut you down really hard. And that means it will take longer to make forward progress. Some new cars, trucks and SUVs have a “snow” mode. In the old days, these modes simply meant that the transmission started in third gear to limit wheel spin. But now, engineers include specific “snow” or low-grip tuning for the throttle mapping, all-wheel drive system, traction control system, ABS system, stability control system and more. Owners of vehicles with “snow” modes in their transmissions or all-wheel-drive systems to always use them. For instance, on the Grand Cherokee SRT8, runs more torque to the front wheels in ‘snow’ mode. So now it doesn’t have the time delay of seeing slip to the rear wheels and then having to send more up front to try and balance things out. Using the vehicle’s “snow” mode simply makes the driving experience more seamless because the systems know you are on a low-grip surface and can likely figure out a correction more quickly. All experts agree that adding a set of winter tires to a vehicle is the single biggest traction and improvement you can make to a car. A set of winter tires will provide increased grip in all these instances. Even on ice, winter tires provide the ABS, Traction Control and ESC systems with more friction to work with. All-season tires are kind of like no-season tires—they aren’t really good in the summer or in the winter. And these tires have specific design elements to help them perform better in winter conditions. The tread compound provides a sponge-like grip on the road and the tread design often has many biting edges to grip the road. Winter tires offer have a narrow tread profile, which concentrates vehicle weight on a smaller footprint, for increased traction. If you find yourself in the snow every year, for the price of your insurance deductible you can buy winter tires. They make a big difference—It’s genuinely a huge advantage. And of course combining all-wheel drive with winter tires is perhaps the ultimate winter package. However, the soft winter tire compounds wear quickly as the weather warms and you encounter drier pavement. So be sure to install your summer tires in a timely manner. Many states don’t require passenger vehicles to use chains for winter driving. 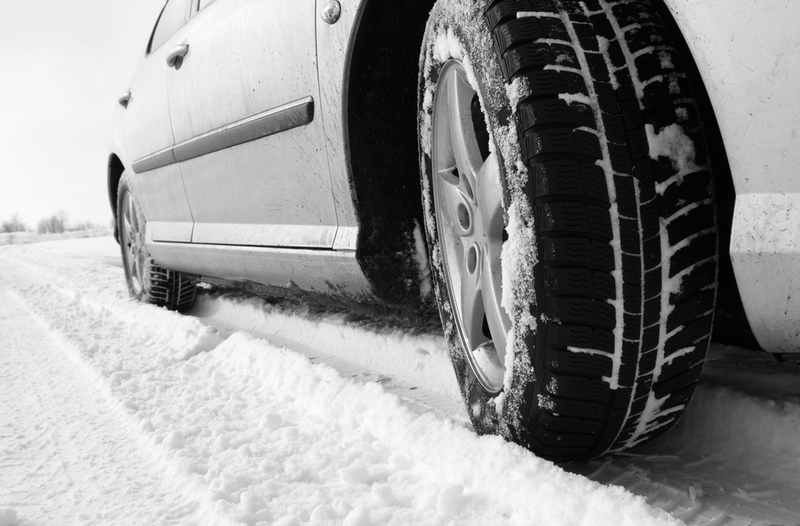 And generally, our experts agree that winter tires outperform chains on most surfaces. But in some states, where the majority of the residents live in a dry hot climate, you might need to carry chains into the mountains—even if you have mud and snow rated truck tires or even proper winter tires. 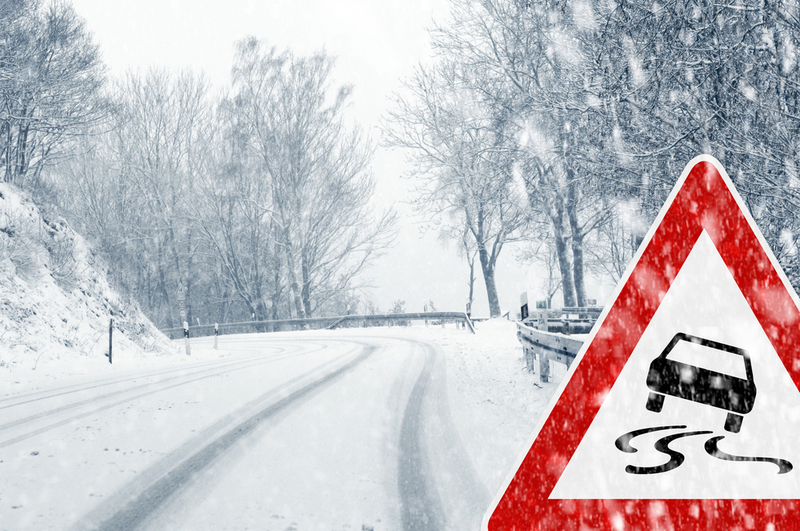 Winter drivers should use a designated safe area, like an official vehicle chain-up area to install their chains. But be sure to practice putting them on in your driveway once or twice—so the process will be smooth and easy in the field. We caution against cheap chains that don’t cover the whole tread in an “X” or “Z” pattern. If the chains are the type that only go across the tread linearly, they have a tendency to skate sideways across the road in some areas you can see cars literally track on ice sideways at a near dead stop because they were skating on the chains. We all do it. Drivers of all experience levels often avoid refueling until the fuel gauge reaches “E” or the low fuel light glows. And in densely populated areas with fuel stations every few miles, that’s just fine. But in the mountains during the winter months, stretching a tank of fuel is not a risk worth taking. A bad accident can snarl traffic for hours in a remote and treacherous section of road. Make sure you’re not pushing empty when you’re about to head into the mountains. We suggest always refueling a vehicle when it gets to half a tank. You can idle a car all night on a half a tank of gas and keep yourself warm—and almost a whole day on a full tank. The three times when you’re driving at the limit of a vehicle’s capability are in racing, in an emergency avoidance maneuver, and when you are driving on a low-grip surface like snow and ice. So learning how to control a vehicle when it steps past the limits of adhesion is key. Of course in newer cars, the stability control system will attempt to correct a skid. But in the slickest conditions it can’t do all the work. When the front tires break traction and begin to slide first, it’s called understeer. Slowly releasing pressure on the throttle, straightening the steering wheel and waiting (very briefly) for regains tire traction. Then be sure to look where you want to end up and point the front tires in that direction. If the car is in borderline mechanical condition, it’s always going to give you trouble at the temperature extremes. A battery, for example, could be cranking well all summer and then start to slow as the cold weather sets in. Don’t wait until it dies—just put a new one in. If you have an old battery and it’s fifteen below, your car may not start. And might we suggest keeping windows clean. Using products such as Rainex on windows and windshield because it helps keep the snow and road grime from building up helps. Many drivers will forget to clean and remove snow from their headlights and taillights. But cleaning these lamps are more important now than ever. Far too many drivers are aware that a trucker driving a loaded semi truck needs an incredibly long distance to stop safely in winter conditions. So when a car abruptly cuts in front of an 18-wheeler and slams on their brakes—that truck will not not be able to slow down to avoid an accident. A truck has 50 tons or more behind them and can’t stop quickly, especially when it’s slippery. So trucks often provide themselves a healthy cushion. By cutting in front of him, you took up that space they were saving. Merge behind that 18-wheeler at a safe distance. Cars do not cut you off from the outside world. Every vehicle has a system in place that constantly delivers you feedback. Sometimes, the car won’t be able to provide a clear enough picture of what’s happening on the road. This is where you should perform your own tests: If nobody is behind you, give the brake pedal a little squeeze, and if your car pulls the expected deceleration (slow-down), you should be ok. However, if the ABS kicks in, creating a vibration, you now know you are dealing with a “low grip” scenario. Doing tests like that in the winter helps to see what you may be in for. 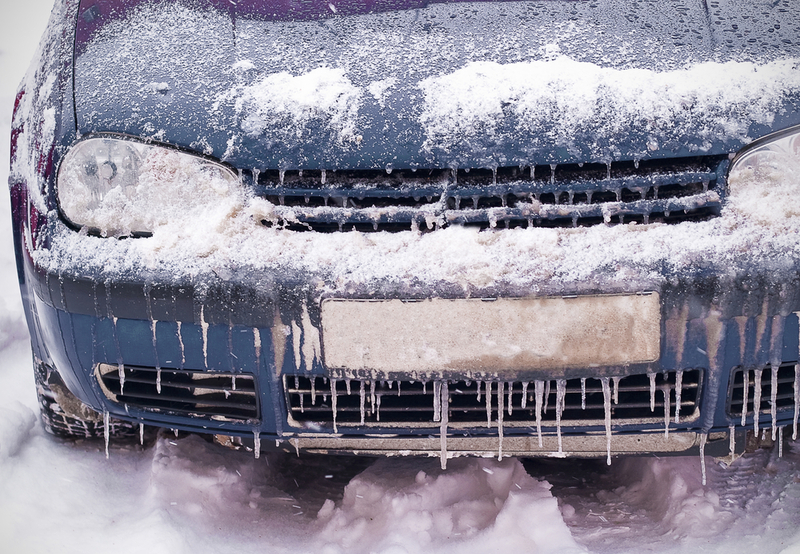 Winter conditions force your car against the elements, elements that make their expected functions difficult, so do what you can. While these tips can help you navigate through wet and cold conditions throughout winter, your number one defense against icy roadways is paying attention. You’re sharing the road with hundreds of different drivers every day, each one more unpredictable than the last, throw in some severe weather conditions and you’re looking at a road that leads right to danger. Keeping a watchful eye on others and maintaining focus on your own driving will help you pull through winter weather with ease!